Over the last 12 years, I’ve unblocked hundreds of kitchen drains. It’s not the worst job a plumber can get, if you know what I mean. Anyway, after I crawl out from under the sink with a bucket full of smelly grey sludge, my customers wrinkle their noses in disgust. If your drains are partly blocked and the water just isn’t getting away, you may be tempted to use a few home remedies or products from under your sink. Acids and alkalis don’t mix. So if you put two different mixtures in your drains… KE – POW. You get a chemical reaction, an explosion, that can break your pipes and you don’t want that. So if you’ve tried one remedy and a partial blockage is still there, my advice is to use the drain as usual and try a different treatment on another day. That way water can get into the drains and dilute your first remedy so no explosive reactions occur. 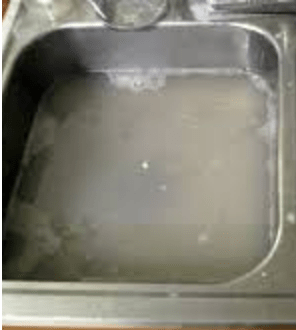 Your kitchen sink is where most of the grease enters your pipes. So, the key point is DON’T. 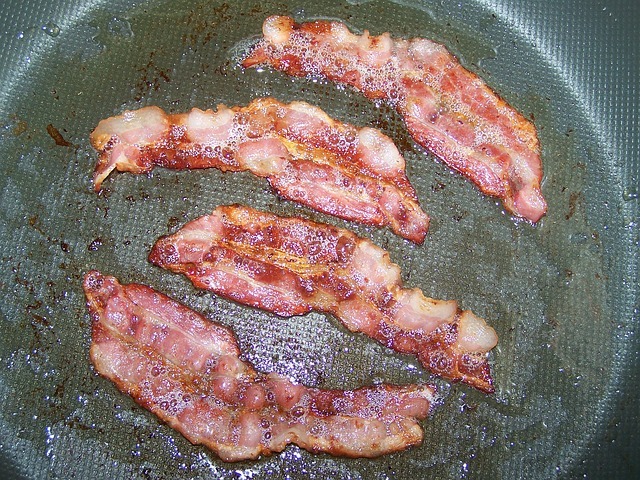 After you’ve enjoyed your bacon or lamb chops with rosemary, DON’T pour the fat down the sink. Instead, soak it up with some paper towels and put them in the bin. Alternatively pour the fat into a container to use later. Bacon fat adds a lovely flavour to roast potatoes. Now, I’m going all Master Chef on you. After you’ve done the last washing up for the day, put the plug in the sink, fill it with super-hot water and then let the plug out. (Use some tongs to do this.) This will help break down the grease and flush it through. In some houses, the pipes get pockets of gunk, yes, very scientific word there, because the pipes dip down in a curve. Once the dip fills up, there’s less room for water to flow through. A word of caution – don’t be tempted to use a kettle full of boiling water. That may damage your plastic pipes. 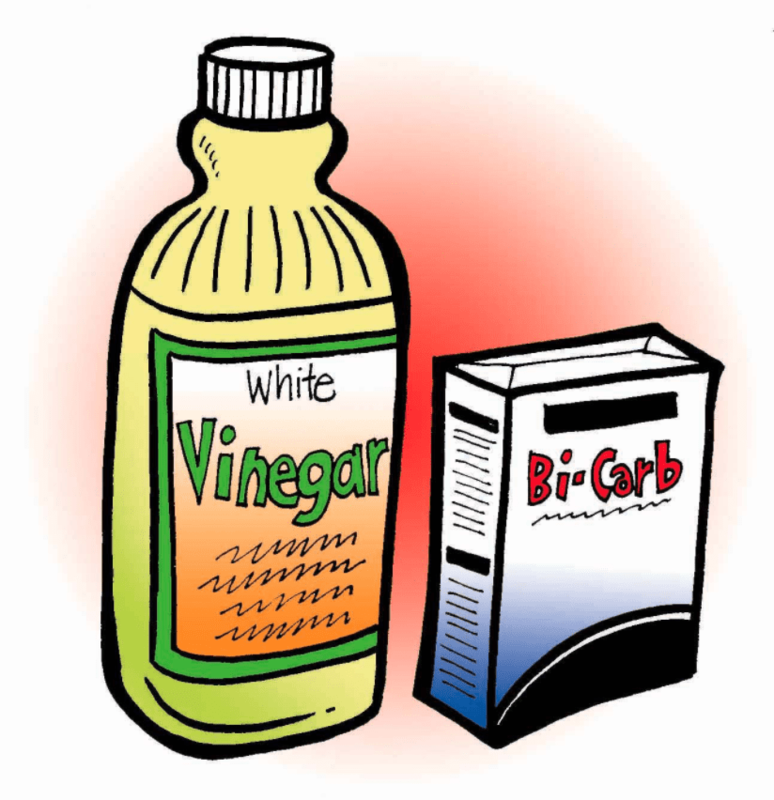 Bi-carb and vinegar is an alkali and acid combination but it is very mild. Still, take precautions – wear thick rubber gloves and keep the kiddies away. Using a funnel, pour ½ cup of bi-carb down the drain. Keep a small plastic bowl or your drain plug handy. Now pour 1 cup of vinegar into the drain. Put the plug in so the fizz stays in the drain where it can get to work. After half an hour, pour lots of hot water through the drain. You may need to repeat this a few times. The chemical reaction will clear the sides of the pipes and help to break down grease blockages. For this you need 1 cup of salt, 1 cup of vinegar and ½ cup of lemon juice. Mix the salt and vinegar in a small bowl until the salt is fully dissolved. Add the lemon juice. The acidity of the lemon helps to break up the grease pockets in your drain. If you don’t have the lemon juice, you could add some more vinegar. The mixture needs to be thin enough to flow down the pipes easily. Pour the liquid into your drain and leave it to do its job. After 30 minutes, run some hot water down the drain for about 30 seconds. Okay, that’s a wrap. I love talking drains and I’ll have more to share with you next time. Meanwhile if you want any help or have a question, give me a call on 0404 030 796. PS There are just 2 weeks to go with the FREE water audit for the month of March. So, if you live on the beautiful Sunshine Coast, pick up the phone and ask me about it. In brief, a water audit shows you how to save water, power and money at your place. PPS If you have a plumbing topic that you want me to cover, let me know. I’m here to help.